Every year a number of students get assigned to supplemental housing and that often makes a couple of people nervous. 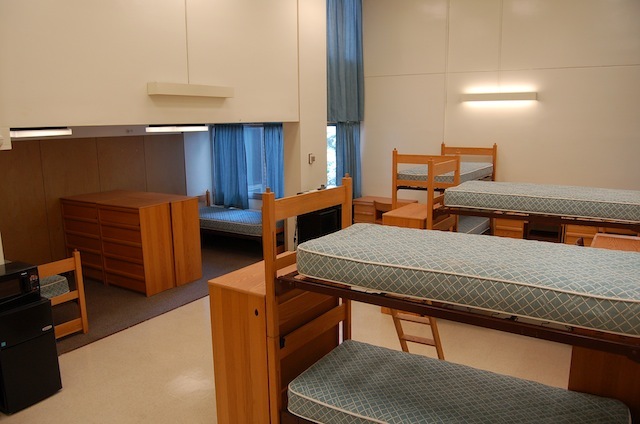 Supplemental housing means that instead of living with one other person in a double, like most freshmen do, you are living in a way bigger room with six to eight other people. Many people I know have lived in supplemental and LOVED it. Shannon Zuber, a junior here at Penn State, said, “I loved it because the girls I moved in with quickly became like my family, and we made our room into a cozy home.” She even told me that now, three years later, they are still roommates in a downtown apartment! According to Shannon, the girls pushed their beds closer together and made part of their room into a “lounge-like” area with a television and everything! Shannon said the advice she would give to freshman who are going to live in supplemental is to keep an open mind, as well as to be assertive but in a respectful way. “We found that setting house rules since day one helped us avoid any kind of drama,” said Shannon. According to Shannon, some of the rules included: whoever fills up the last space in the trashcan throws out the trash, no inviting people over when someone in the room has an exam the next day, and other rules that accommodated everyone. Lauren Zukoff also lived in supplemental her freshman year and said that she would advise freshmen to bring decorations that can serve as dividers for you to make your own space. “ I loved my tapestry because I hung it around my bed making it kind of like a cozy little room for myself, and whenever I needed alone time I would just go there,” said Lauren. Another piece of advice would be to purchase a lot of room-saving storage. That would be everything from shoe racks, to special hangers, and under-the-bed storage boxes.